Gavin Creel and Jared Gertner will head door to door in London as missionaries Elder Price and Elder Cunnigham, respectively, in the West End production of The Book of Mormon. Preview performances begin February 25, 2013 at the Prince of Wales Theatre, with opening night set for March 21. The cast will also include Mark Anderson, Stephen Ashfield, Benjamin Brook, Daniel Buckley, Daniel Clift, Ashley Day, Terry Doe, Candace Furbert, Patrick George, Nadine Higgin, Tyrone Huntley, Evan James, Chris Jarman, Michael Kent, Alexia Khadime, Matt Krzan, Oliver Liddert, Daniel McKinley, Luke Newton, Terel Nugent, Haydn Oakley, Olivia Phillip, Lucy St. Louis, Giles Terera, Kayi Ushe, Tosh-Wanogho-Maud and Liam Wrate. 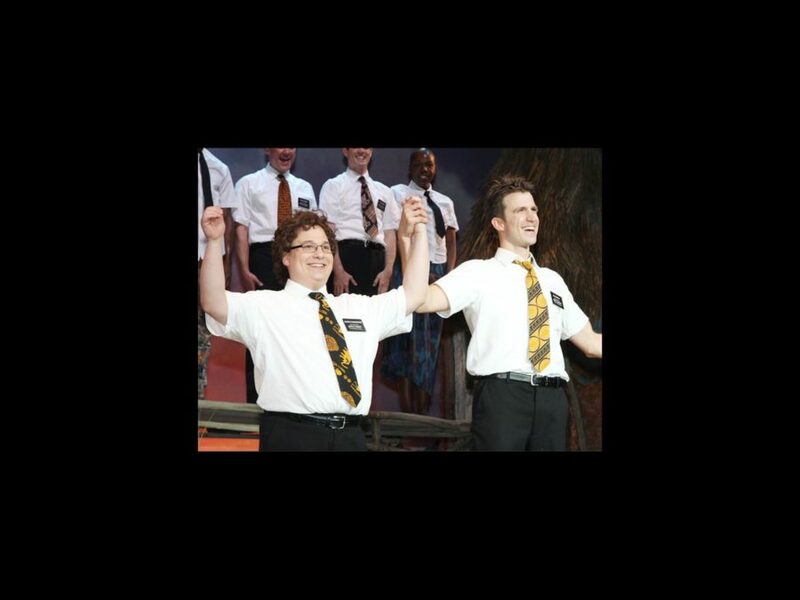 Creel and Gertner are currently leading the national tour of The Book of Mormon. Creel earned a Tony nomination for Hair, and also appeared in the show's West End run. His other Broadway credits include Mary Poppins (in which he also appeared in the West End production), Thoroughly Modern Millie and La Cage aux Folles. Gertner has appeared on Broadway in The 25th Annual Putnam County Spelling Bee and off-Broadway in Ordinary Days. His TV credits include Ugly Betty and The Good Wife. Written by South Park creators Trey Parker and Matt Stone and Avenue Q composer Robert Lopez, The Book of Mormon continues to sell-out at Broadway's Eugene O'Neil Theatre. The show earned nine 2011 Tony Awards including Best Musical. A second national tour will launch in Chicago in December. Watch Creel talk about playing Elder Price below!